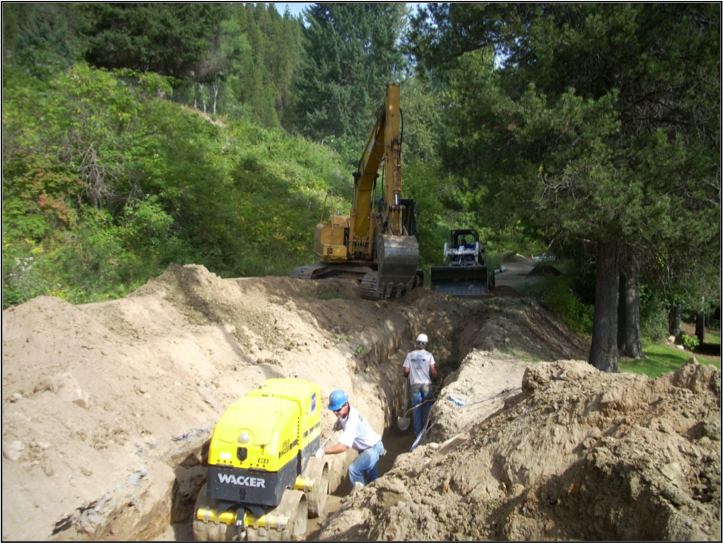 Over a 10-year period, TD&H Engineering assisted the Town of Ione with applications for funding of upgrades and improvements to replace the town’s water distribution and treatment system. In 2009, TD&H Engineering provided design and construction services for the replacement of approximately 600 LF of 4″ waterline with an 8″ water main including the replacement and addition of fire hydrants. This project also included installation of another 1,000 LF of 8″ water main to create a looped system. Our scope of services included coordination between funding agencies: USDA, CDBG, EPA, and State Revolving Fund, topographic survey, the design of the waterline, temporary construction easements, construction inspection and testing, and a survey of the final alignment for the permanent easements.